Again, one way to get asset protection after being served with a lawsuit is to set up an offshore trust. It’s important to note that you have access to your funds through the licensed trustee. They act as a spigot to turn off the faucet should your legal enemies present a begging cup. By keeping funds in the trust account, even out of your direct reach, you are keeping them out of reach of others. Others, who don’t belong there. Domestic trusts are useful too , but not nearly as protective as offshore trusts. The cost to set either trust up is comparable. But we have mentioned here, an offshore trust, is your better option. The domestic trustee is under the jurisdiction of the domestic judge. Conversely, the offshore trustee can turn a “you’re not the boss of me” deaf ear to US court orders. If you have reservations about an offshore trust, that’s okay. That’s typical for Americans who are comfortable in their own ways and not familiar with offshore investing. It may not be as wise to set up a domestic trust. But it’s generally better than not having one in place at all. It is better to get all the facts. Then you will see how safe an offshore trust and selective offshore banking really is. It’s also very important to discuss asset protection trusts with a reputable, longstanding organization. There are organizations, such as this one, who have been “in the game” for decades. There are more resources on this website. Plus, you have the option of speaking more in depth about these trusts with a highly-qualified professional with the number of form on this page. It can’t be stressed enough, the asset protection power of offshore trust. It is one of the only ways to protect yourself after a lawsuit has arrived at your door. As was previously mentioned, setting up such a spendthrift trust is a powerful move. So, if your opponent knows you have one, it may prevent them from serving you with lawsuit in the first place. Next, setting it up with an offshore LLC inside of your trust can put you in control until the “bad thing” happens. You can be the signatory on LLC bank account when not under duress, making funds less accessible to creditors when problems arise. We will say it again. Until the bullets fly, you are the day to day manager of the company inside of your asset protection trust. Should you require a trustee to manage it, after a judgment hits you, a responsible trust agent will assign one that is licensed and bonded. To obtain a trustee license, the personnel must undergo a rigorous background check. Bonded means your funds are insured from malfeasance. This trustee is essentially a superman. No really, we mean it. He or she will take the steering wheel, and protect your important assets. When you need asset protection after being served the trustee stands between you and your your financial enemy. A time you would benefit from the trustee stepping in and shielding you is when a lawsuit strikes. The only time the trustee steps in is during a lawsuit or thereafter when the courts are trying to take your money. It is at these times that your licensed and bonded trustee keeps the bad people away from your nest egg. They essentially help you distance yourself from the management of the company inside of the trust. This way if the court orders you to return the funds, the trustee can legally refuse to comply, allowing your funds to go untouched and unharmed. Where to Form the Trust? The best offshore asset protection trust you can consider is one in the Cook Islands. The Cook Islands do not recognize foreign judgments. In other words, you keep your asset protection there. A court requests access and the trustee will simply look the other way. 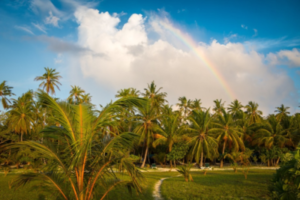 Case law shows that Cook Islands trust fully protects your assets. By placing a Nevis or Cook Islands Limited Liability Company inside of the trust you have control until the storm comes. Remember, your best defense is to take action. What does that mean? 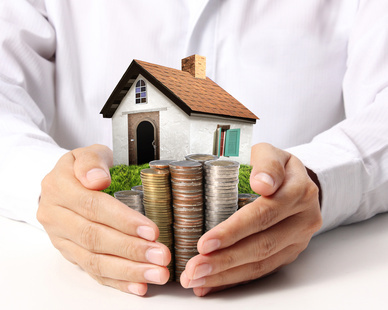 It means, set up an asset protection trust now, for your financial safety. As we have discussed here, setting up an offshore trust is your smartest asset protection trust option. You retain control of your assets throughout the entire relationship. But in the event of a lawsuit, you simply hand off the football to a licensed and bonded trustee. They who won’t fumble it, and will simply hand it right back off to you when the coast is clear. The Nevis LLC or Cook Islands LLC is an offshore company that goes inside of the trust. It is your remote control. It is with this company that you can control the assets inside of the trust until the “bad thing” happens. There is more access to information about these companies right here on the website. What’s yours is yours. And the Nevis or Cook Islands Limited Liability Company is owned 100% by the trust. The LLC will hold title the bank accounts. Remember though, it is critical that you begin this process NOW, before a someone files a lawsuit aimed at you. It is less suspicious, and holds up more readily in court. So, put these legal tools in place, before a lawsuit if possible. Also, remember, having an asset protection trust in place may even deter a lawsuit from ever being filed in the first place. The bad guys see they can’t get their hands on your money, or it would be extremely difficult to do so. So, they keep away. Think of your offshore asset protection trust as a big “Keep Out” sign. It keeps away all those who are seeking an easy path to wealth, by taking you money. Remember, those in risky professions, and children who have inherited money are at great risk from these types of financial predators. Doctors, lawyers, paramedics, architects, would all benefit from adding a trust to their asset protection strategies, right now. Those are not the only at-risk professions. There are dozens upon dozens more. Do you think you are at risk of someone suing you because of a workplace issue? You probably are. That said, it may be wise to start seriously considering what we have discussed here. Remember, domestic trusts are better than none. 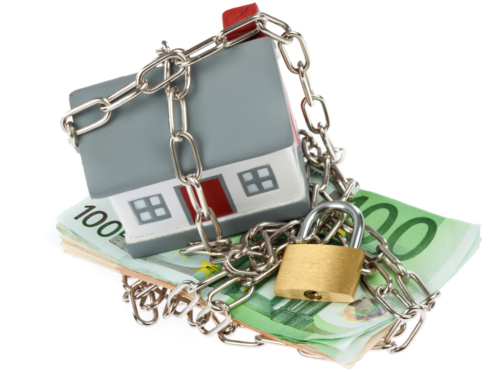 But offshore trusts offer stronger security, provided an experience, knowledgeable company establishes them. 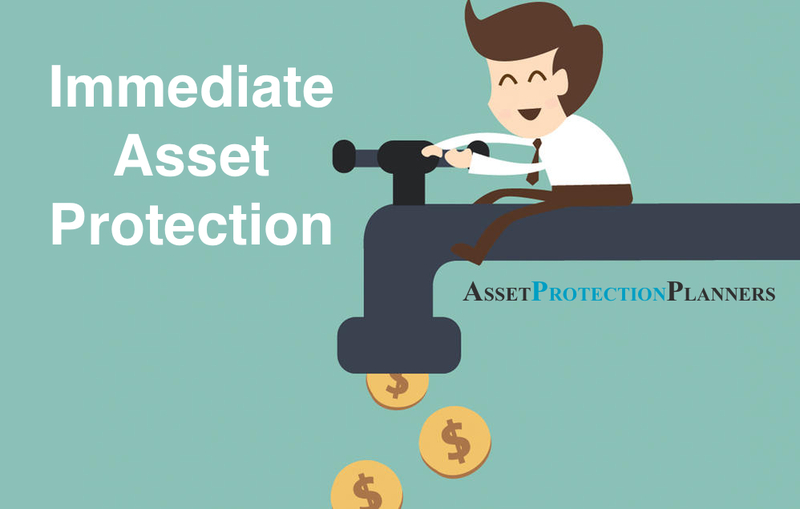 It is one of the few ways to protect assets after a lawsuit. You can find more information here on the site. Your best defense is offense. Act now, to safeguard your hard-earned wealth from unscrupulous financial predators.